The Baku Grand Slam 2017 delivered a compelling spectacle of scintillating judo at Heydar Aliyev Arena on Saturday as Olympic medallists and rising names squared off and four different flags were raised to the rafters. On day two gold medallists were crowned in the women’s -63kg and -70kg categories and the men’s -73kg and -81kg categories. The land of fire is preparing to host the World Judo Championships in 2018 and the IJF and Azerbaijan Judo Federation are already at an advanced stage in their planning for the annual blue ribbon event of the IJF World Judo Tour. Dr. Lisa ALLAN, IJF Competition Manager, said: “We are very much looking forward to the World Championships 2018 in Baku. 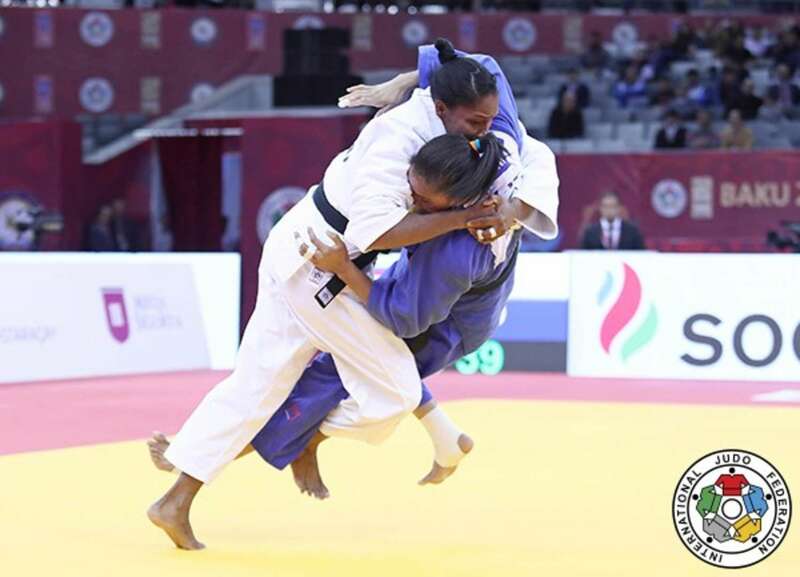 This is the fifth edition of the Baku Grand Slam and the Azerbaijan Judo Federation now has a great deal of experience, high-quality technical officials and very capable volunteers as everyone is familiar with their roles and IJF competitions. 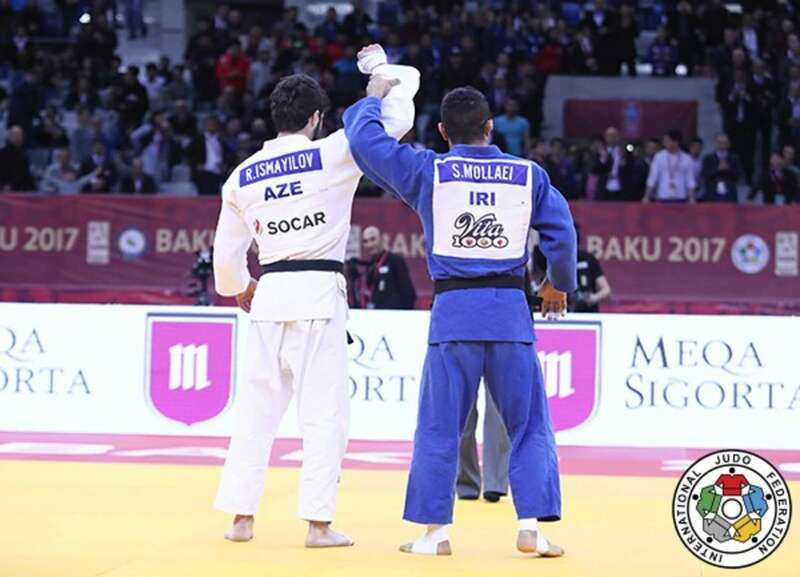 Triple world champion and double Olympic medallist Yuri ALVEAR (COL) was one of the most illustrious names in action on Saturday in Baku. 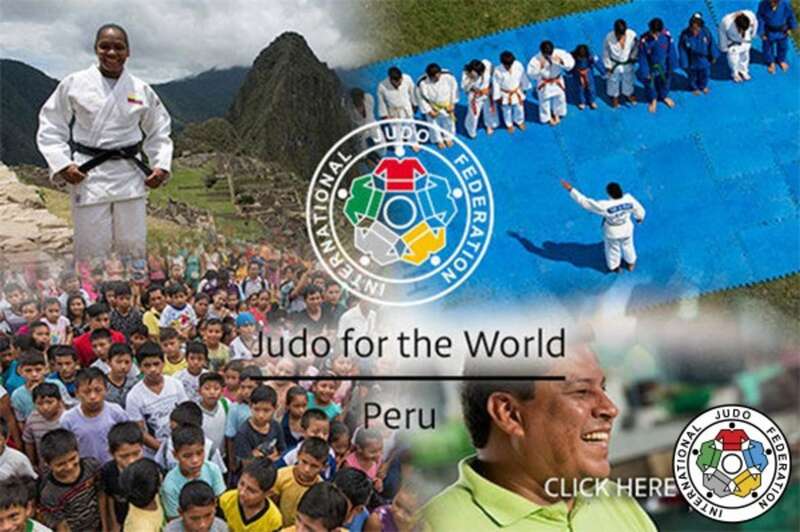 The all-time great was recently part of a special two-week IJF visit to Peru for a series of development activities which was the subject of the latest #JudoForTheWorld feature film. 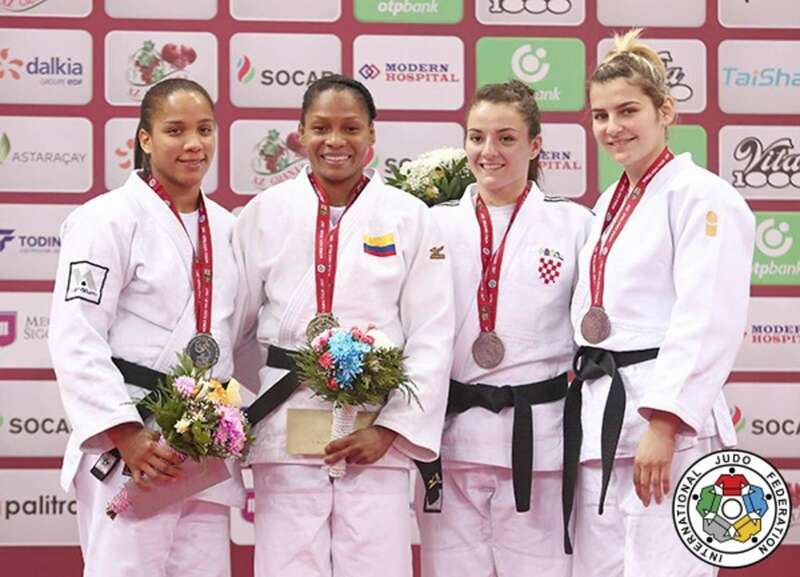 ALVEAR, 30, won her first Grand Slam gold medal on Saturday with three ippons from three contests and now only Masters and Grand Prix titles are missing from her plentiful IJF World Judo Tour collection. The Baku Grand Slam will come to a powerful finale on Sunday with Rio 2016 Olympic silver medallist Elmar Gasimov among the stars on show and he will be hoping to keep the -100kg gold medal in Azerbaijan. World number 12 Alice SCHLESINGER (GBR) defended her 2016 Baku title with a mature performance against Tunis African Open silver medallist Andreja LESKI (SLO). The modest Briton, who was making her post-Olympic return to competition, saw off world number 63 LESKI on the ground as SCHLESINGER trapped the body of her opponent and from there worked the arm-lock until the 20-year-old Slovenian had to submit. In the first semi-final former Qingdao Grand Prix silver medallist Busra KATIPOGLU (TUR) lost out to LESKI by a waza-ari after one minute of golden score. In the second semi-final SCHLESINGER defeated home judoka Khanim HUSEYNOVA (AZE) by ippon as the former pinned down the Azeri with a kami-shiho-gatame for 20 seconds. The first bronze medal was won by KATIPOGLU who defeated 24-year-old Nuriyya AKHUNDOVA (AZE) by ippon with a wonderful hip technique to ensure a successful return to action. The Turkish judoka was competing for the first time since the Rio 2016 Olympics while AKHUNDOVA was engaged in a medal contest on the IJF World Judo Tour for the first time. The second bronze medal was won by HUSEYNOVA as her teammate and 2012 Baku Grand Prix winner Gulsadaf KARIMOVA (AZE) was disqualified after being penalised on three occasions. The third shido came for passivity with nine seconds left as KARIMOVA will have to wait to record her first Grand Slam medal but the crowd were the most content as they applauded the efforts of their female judoka. Triple world champion and double Olympic medallist Yuri ALVEAR (COL) topped the podium in Baku as she started her year with a new accolade. Colombia’s greatest athlete made it five wins from five contests against 20-year-old Paris Grand Slam medallist Elvismar RODRIGUEZ (IJF) who was quickly defeated in the final. ALVEAR, who lost out to TACHIMOTO Haruka (JPN) in the Olympic final, threw RODRIGUEZ after 23 seconds with a ko-soto-gake for the maximum score. The newly-crowned Grand Slam winner, who will head to Tokyo next week for a training camp, said: “I’m very happy to finally win a Grand Slam having won three World Championships. I have wanted this medal for a while and I am very pleased to start my year like this. In the first semi-final ALVEAR trapped u23 European Championships bronze medallist Aleksandra SAMARDZIC (BIH) on the ground for ippon having prodded with a ouchi-gari and was in control at all times. In the second semi-final RODRIGUEZ dominated Zagreb Grand Prix winner Barbara MATIC (CRO) with a powerful display. The starlet took the lead with a waza-ari and added a second from a picturesque sasae-tsurikomi-ashi before holding down MATIC with a mune-gatame for 20 seconds. The first bronze medal was claimed by MATIC who rushed to victory after 60 seconds by ippon against 22-year-old Grand Slam newcomer Zere BEKTASKYZY (KAZ). The second bronze medal was captured by 19-year-old SAMARDZIC who denied Valida MIRZAZADA (AZE) in the first ever IJF medal contest for the Azeri. 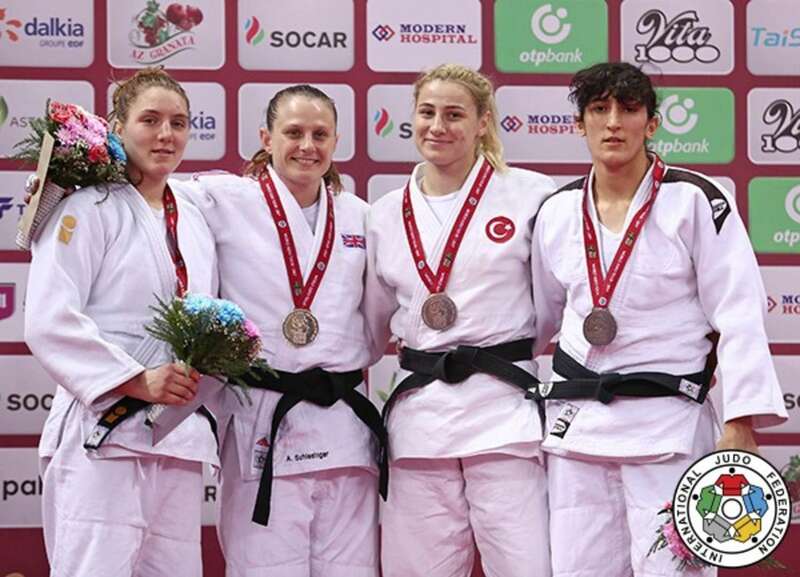 SAMARDZIC won her second Grand Slam bronze medal by ippon having led by two waza-ari. 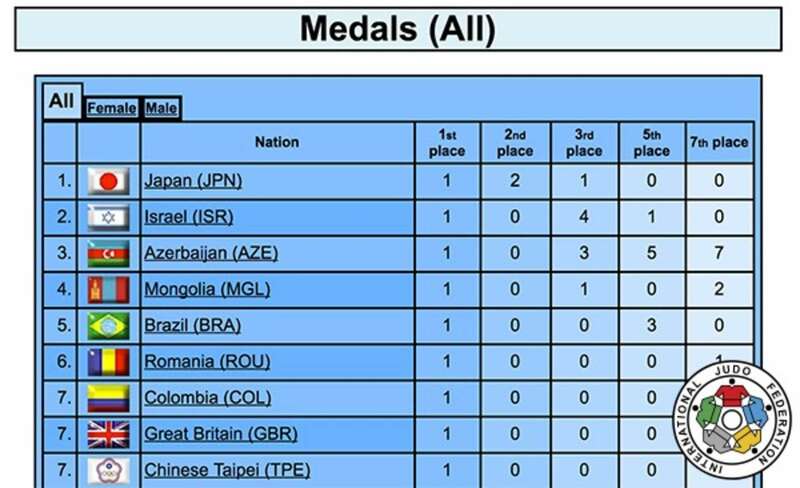 World Judo Masters silver medallist GANBAATAR Odbayar (MGL) captured Grand Slam gold for the first time as he bested double world champion and London 2012 Olympic silver medallist NAKAYA Riki (JPN). NAKAYA, who at 27 has a world of experience and is one of the most decorated judoka in the competition, has fallen behind Olympic champion ONO Shohei (JPN) and World Judo Masters and Paris Grand Slam winner HASHIMOTO Soichi (JPN) in the pecking order and thus starts have been infrequent on the IJF World Judo Tour. In the first semi-final NAKAYA faced UNGVARI Miklos (HUN) in a battle between London 2012 Olympic silver medallists. Evergreen UNGVARI, 36, who won his Olympic medal at -66kg, was thrown with a tomoe-nage after 90 seconds of golden score for a waza-ari and NAKAYA progressed into the final. In the second semi-final SHAVDATUASHVILI (GEO) committed a costly mistake against GANBAATAR as he received three shidos to be disqualified. The Georgian started slowly and never recovered as he was penalised for passivity for this third shido and was relegated to the bronze medal contest as his Mongolian adversary marched on into the final. The first bronze medal contest saw Rustam ORUJOV (AZE) survive a high-pressure situation against SHAVDATUASHVILI. Number one seed ORUJOV should be accustomed to it but he also had a first-class opponent in front of him and the prospect of his teammate also medalling at -73kg on his mind. The weight of expectancy was visible on his face in the warm-up area before he composed himself for the final block. After a fascinating four minutes, chants of ‘Rustam, Rustam’ rang out in the crowd and their man got there in the end after two minutes of golden score by turning his Georgian rival for a match-winning waza-ari. ORUJOV raised his hand aloft to acknowledge the crowd’s support and tapped the Azerbaijan flag on his judogi to show his pride. The second bronze medal went to UNGVARI after a thrilling contest against Paris Grand Slam bronze medallist Hidayat HEYDAROV (AZE). There was a 17-year age gap between the two as the 36-year-old Hungarian challenged the 19-year-old Azeri at home and tested the mettle of the teenager. HEYDAROV gave everything and looked on course for victory as he led with a waza-ari but UNGVARI is a wily veteran and with 21 seconds left he turned over the youngster and tapped him out in a showing of craft and determination. UNGVARI became the third oldest Grand Slam medallist of all time behind YAMAMOTO Sayuri (39) and Valentin GREKOV (37) and there is still much to come from the Hungarian stalwart who is working towards the World Championships in Budapest. 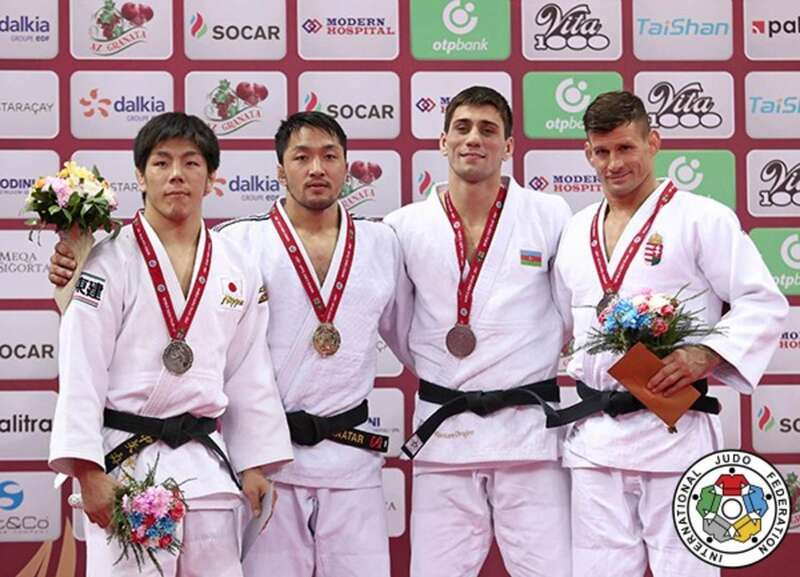 Tashkent Grand Prix bronze medallist Rufat ISMAYILOV (AZE) was the cream of the crop for the hosts as he achieved what household names ORUJOV, SAFAROV, and HEYDAROV tried so desperately but ultimately failed to accomplish in winning a home gold medal. The 20-year-old Azerbaijan judoka scored a waza-ari right away with a drop seoi-nage and maintained his advantage for the remainder of the contest to record a superb Grand Slam win against Asian Championships bronze medallist Saeid MOLLAEI (IRI). In the first semi-final ISMAYILOV shocked KOHARA Kenya (JPN) with a pure te-waza movement for ippon after just 32 seconds which sent the crowd into euphoria. The Azeri talent opened his judogi in excitement and roared with pleasure as his compatriots celebrated the upset. ISMAYILOV had guaranteed his first IJF World Judo Tour medal and the crowd could tell that he was on the verge of something very special in his homeland. 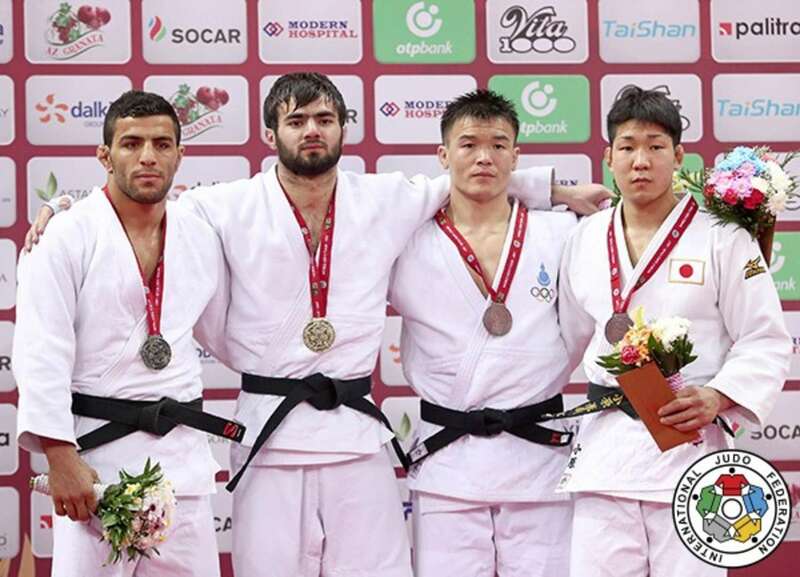 In the second semi-final MOLLAEI defeat Tbilisi Grand Prix bronze medallist OTGONBAATAR Uuganbaatar (MGL) by ippon having also scored two waza-ari as he surged into the final. 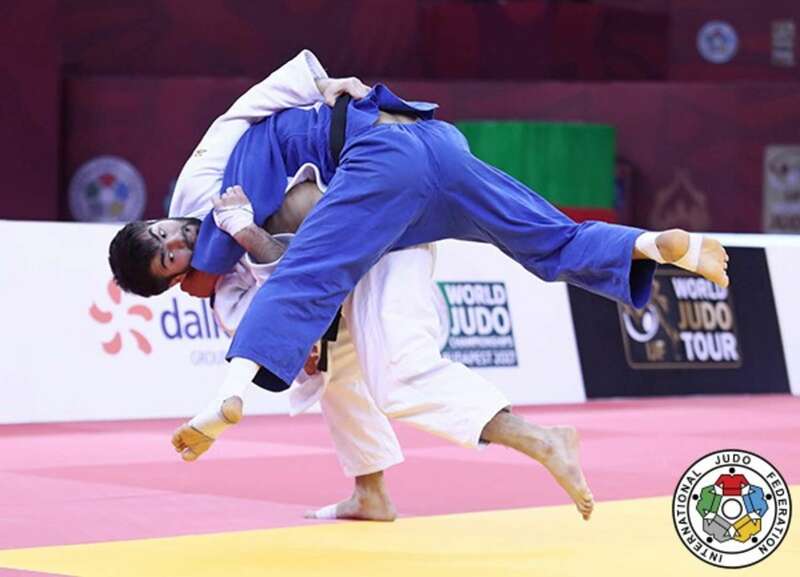 The first bronze medal contest saw OTGONBAATAR dismiss Dusseldorf Grand Prix bronze medallist Ivaylo IVANOV (BUL) as Mongolia’s medal rush continued. The 29-year-old ensured a medal-winning resumption of IJF duty as he countered an ouchi-gari with an opportunistic ko-soto-gari for a waza-ari score with 15 seconds left on the clock. The second bronze medal went to KOHARA who threw Dusseldorf Grand Prix silver medallist UNGVARI Attila (HUN) with a well-timed de-ashi-barai for ippon with 90 seconds left to record his first IJF silverware.